We all know food can make or break a vacation, and this past year we gambled with going to Haifa and we were pleasantly surprised. After securing an apartment on Airbnb (get $35 off Airbnb) right on Hanassi Street, we found out upon arrival that it was going to be a great location with many restaurants within a short walk from the apartment. What we did not expect was Ruben’s Deli right around the corner, serving amazing steamed corned beef sandwiches with all the fixins’ and more. Ruben’s did not disappoint on any level from the right type of breads, to different amounts of corned beef (and hot turkey too) to a variety of mustards and sauces including a great homemade aioli. Additionally, they also offer an option with goose liver, not the regular chicken of beef liver that most places serve. This, along with other side dishes and an option to add another deck with a homemade hamburger, puts them over the top and I highly suggest people take notice of this diamond in the rough. In addition to Ruben’s, there were classic bakeries cafes and restaurant nearby. The other notable mention was Torino Pizzeria only one block away also on Hanassi Street, serving great pizza, with thin and gluten free crust available. Their salads are served with homemade garlic bread and plenty of pasta choices as well. Please pay close attention to kosher certification, as many other restaurants that were listed as kosher online were no longer certified. Specifically the Café Aroma, which still serves the kosher menu and is not open on Shabbat or holidays but does not want to pay the extra fees. Although the city started a great initiative with a QR code directory available in all kosher restaurants, this too is not kept up to date, so take heed. Our family vacations revolve around cities that have a beach. Haifa has two main options for beaches: Hof HaCarmel and Bat Galim. Bat Galim is by the port and is an enclosed swimming area that has a secondary entrance for separate men and women swimming, but be warned: the sand is much more coarse and rocks aplenty in the water. Hof HaCarmel is by far the better option with super soft sand and gorgeous emerald colored waters. Although Hof HaCarmel is in a secluded area, there is a small mall only a short 5 minute drive away and does have at least one kosher restaurant on the waterfront. At both beaches the waters are pretty shallow and the waves are pretty small. Each day we went to an attraction in the morning and then went to the beach in the afternoon when it started to cool down. The two main attractions that were the biggest successes were the zoo and the science museum. The Haifa Educational Zoo is right next to the Panorama towers just 5 minute walking distance from where we were staying. It is not a massive Zoo, however it’s on a hill so on the back end, be prepared for hike up a hill. Highlights include, white tigers, a lion and two walk-in cages, one with lemurs and another with big birds such as eagles, vultures and hawks. The landscape overlooks the Mediterranean Sea with some great lookout points for pictures. The Madatech Science Musuem is way better than the Jerusalem science museum. It is spaced out with lots of room to maneuver through each exhibit, and there are activities for all ages. There are three main parts to the museum, one is the outside area with lots of activities and experiments to test. The inside exhibit has two floors with separate rooms for different types of scientific evolution. The third is a rotating special exhibit. We went during the Tubix exhibit and it was fantastic. It entertained kids from ages 3 to 10 and even had us entertained at some points, the rotating exhibits are in Hebrew only, but even without the explanation the exhibit is doable. 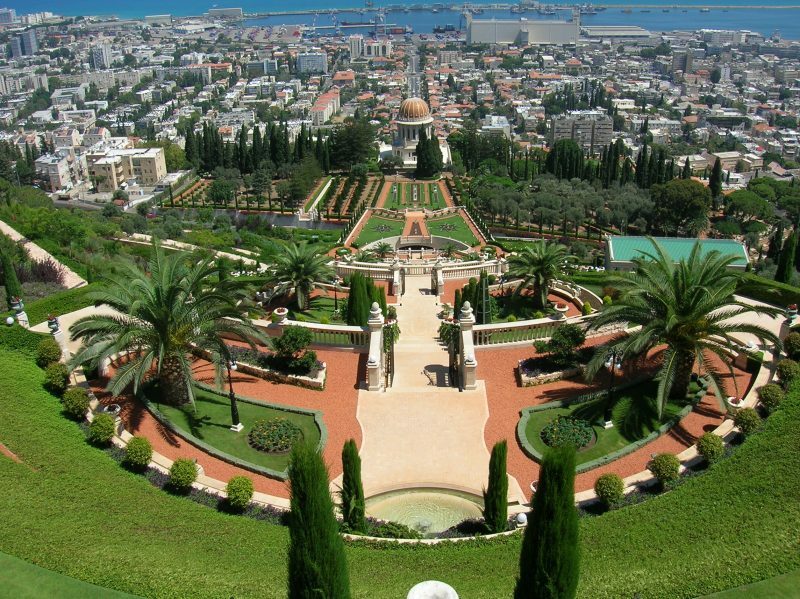 I would be remiss if I didn’t mention one of Dani’s (from YeahThatsKosher) favorite spots in Israel: the Baha’i Gardens. One of the most beautiful spots in the country. Overall the Haifa vacation was a huge success, from the amazing food to the great attractions, even during the high season the sites did not feel over crowded. Considering the prices are significantly cheaper than Tel Aviv and Netanya, people should start looking at Haifa as a fun and relaxing place to visit.